Now that the ink is drying in the record book for the Super Bowl Champion Seattle Seahawks, it’s interesting to look at the team’s overall history. When we travel down the road to yesteryear, our remembrance of great teams that should have won the Super Bowl are normally teams that appeared in it. Yet if we returned to the last week of the season of 1986, you’d be surprised to learn the team that scared everyone going into the playoffs that year was the Seattle Seahawks. The real Curt Warner was the first super star in the history of the Seahawks. I know what you’re thinking. How could one of the best teams in Seahawk history be better than a team that appeared in the Super Bowl?? Well for starters the squad that made it to Super Bowl XL survived a fairly weak NFC playoff pool. Even the NFC Championship win had them best the Carolina Panthers who were starting a 4th string running back. The team was born out of the expansion draft in 1976 along with the Tampa Bay Buccaneers. They struggled mightily early on until a couple drafts in the early 80s brought superstars to the Pacific Northwest. In 1981 they drafted 3 time All American Safety Kenny Easley to fortify the defense. Two years later they brought in RB Curt Warner to bring juice to the offense. Where the bulk of media attention was on the class of ’83 quarterbacks, the real Curt Warner had a great rookie season with 1,449 yards rushing and 13 TDs. They made their first foray into the NFL playoffs where they ended John Elway’s rookie season with a 31-7 win under the artificial sky of the Kingdome. 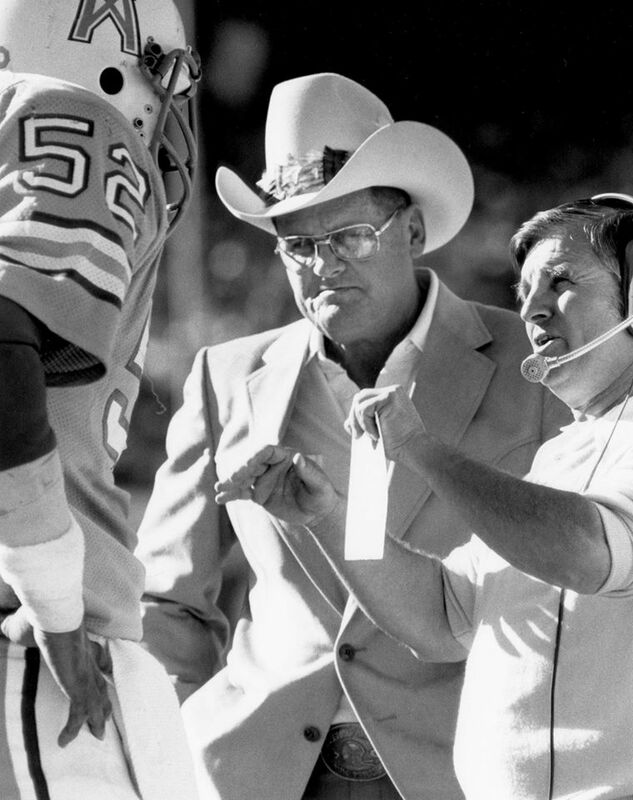 Where it was thought this was as far as they could go, they went on to a huge upset over Don Shula’s Dolphins on the road 27-20. The Seahawks found themselves just one game away from Super Bowl XVIII and a trip to Los Angeles beckoned. They had swept the 12-4 Raiders during the regular season and were playing in their first championship in team history. One more win and the cinderella Seahawks would play for it all down in Tampa. In the AFC Championship, Marcus Allen came of age rushing for 154 yards while snagging passes for 62 more as the Raiders prevailed 34-14. It seemed the Seahawks had turned the corner, yet the team was unable to put together a championship run in 1984 when Warner was lost for the season. They were bound together by their defense but the lack of offensive firepower came back to haunt them in a 31-14 playoff loss to the Dolphins. Hall of Fame receiver Steve Largeant was the steady star who was a perennial 1,000 yard receiver. They followed that with an 8-8 record in 1985 as they eased Warner back after a knee reconstruction. 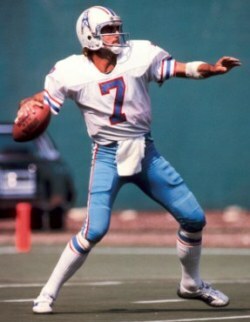 He did make it past 1,000 yards but it was Dave Krieg who came of age. He made the Pro Bowl in ’84 after throwing a team record 32 touchdowns, yet tossed 24 interceptions. He reduced his picks to 20 in 1985 in his second full season as a starter. After back to back campaigns with over 3,600 yards passing from Krieg, Warner’s knee gaining full strength, and returning with the NFL’s 11th ranked defense featuring the 1984 NFL Defensive Player of the year in Kenny Easley…1986 looked like it would be the Seahawk’s year. From the outset of 1986, Seattle was on a mission. They opened with a rousing 30-0 win over Pittsburgh. They made it to 2-0 before having to take on the defending AFC Champion Patriots on the road. Down 31-21 with less than 8 minutes to go, the Seahawks turned it on scoring 17 points including a blocked kick to stun the Patriots 38-31. Despite the fact Tony Eason passed for 414 yards and 3 TDs, Seattle showed how strong they could turn it on offense, defense, and special teams to win against a quality opponent. 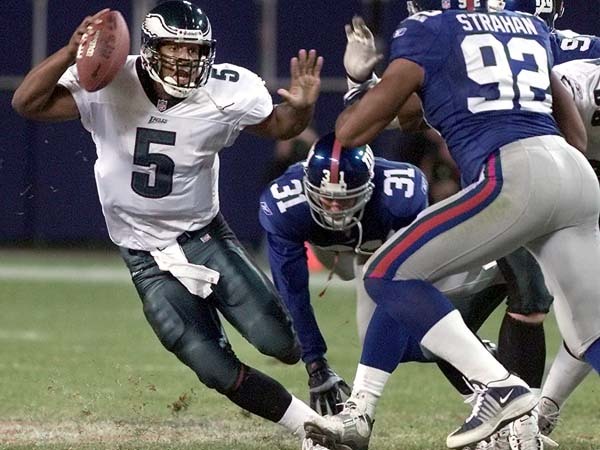 At no time was this more evident than when they took on the eventual Super Bowl champion New York Giants in week 7. The Seahawk defense took over and sacked Phil Simms 7 times while intercepting 3 of his passes. Jacob Green had the best game of his career as he registered 4 sacks. 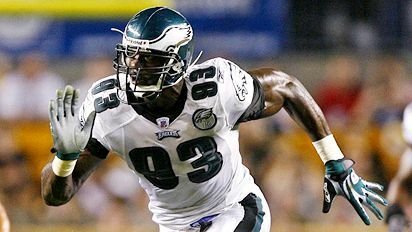 He did this against T Brad Benson, who 8 weeks later, became the first offensive lineman ever named NFC Offensive Player of the week for his performance against Dexter Manley. On this day in the Kingdome however, they couldn’t slide the line or help Benson as the Seahaks won a slugfest 17-12. At 5-2 the Seahawks had proven to win every type of game against the stiffest of competition. This is the mark of a champion. The only opponent they couldn’t overcome was themselves. Following the win in New York, they lost a marquee game against Denver for the AFC West divsion lead 20-13. What was painful is they had two touchdowns in that game called back. They lost their mojo and went on a four game tailspin and fell out of contention. After a team meeting, the Seahawks went on a tear as they finished with a five game winning streak. 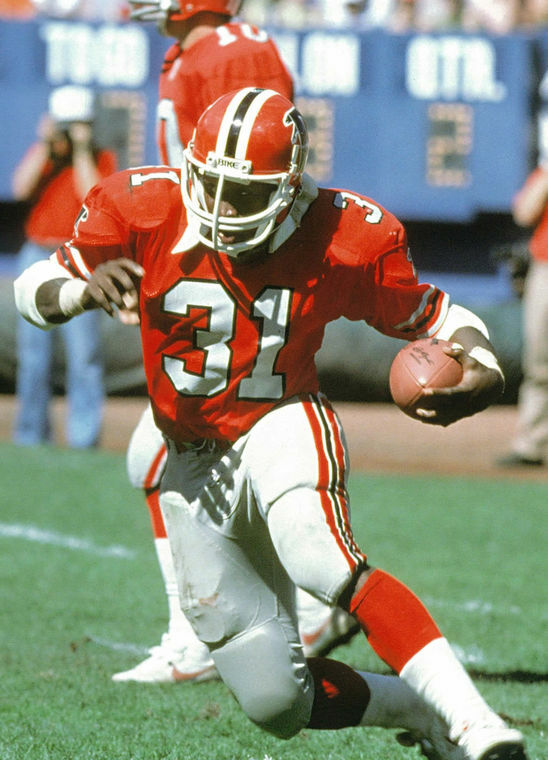 Curt Warner was the lead horse as he ran for 556 yards on 110 carries with 6 touchdowns over that time. The assault started with 122 yards in a 31-14 win in Dallas on Thanksgiving. 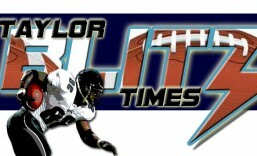 He scored twice as he tallied 116 yards in a 37-0 Monday Night massacre against the division rival LA Raiders. Which set up the final game of the season where he saved his best performance for last. Before we go there we have to mention the defense raising their level of play. During the 4 game losing streak, the defense had broken allowing an average of 451 yards / 29.75 points per game and only logged 5 sacks. Over the last five weeks the defense improved dramatically. They only surrendered 272 yards and only 10 points per game. The #1 and #2 defense in Chicago and New York gave up 258 and 297 yds per game respectively. 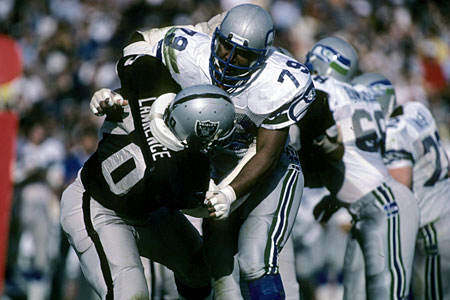 In the Monday Night 37-0 win against the Raiders, they registered a team record 11 sacks. 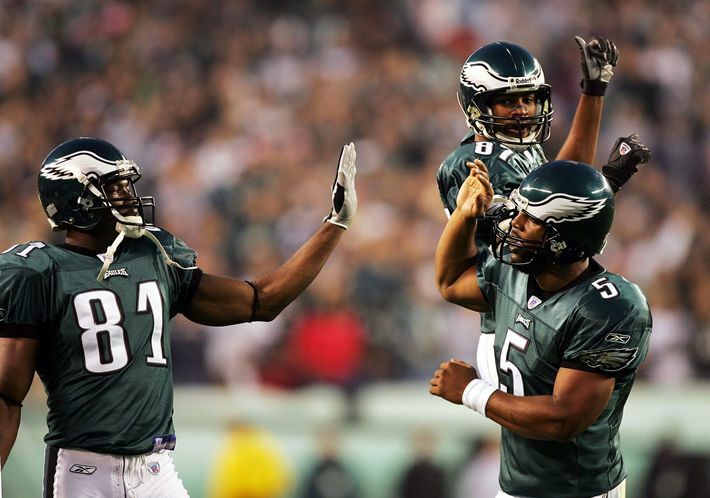 This five game streak included a match-up with the eventual AFC Champion and Division Champion Denver Broncos, in the regular season finale. That rousing 41-16 win was the culmination of the team finally firing on all cylinders. NFL playoff tie-breakers kept the 10-6 Seahawks out. Yet for the first time in the Super Bowl era, one team beat both Super Bowl participants during the season. The Giants last loss was a 17-12 defeat up in the Kingdome in week 7. Then the finale blowout of the Broncos. 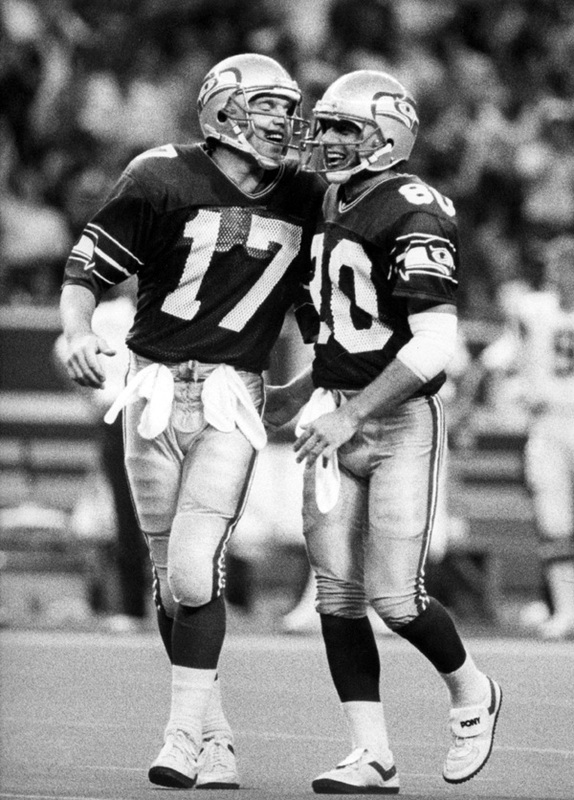 To this day, the Dave Krieg to Steve Largent connection remains the best in team history. No one wanted to face this team as the ’86 playoffs were being set up. You had Curt Warner’s conference leading 1,481 yards and 13 touchdowns. 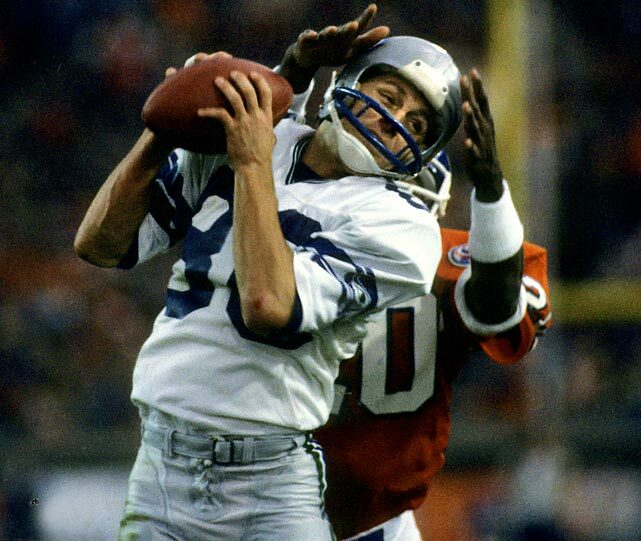 Fellow Pro Bowler and future Hall of Famer Steve Largent’s 70 receptions for 1,070 yards and 9 TDs. The league’s best kick returner in Bobby Joe Edmunds. Emerging star in Pro Bowl linebacker Fredd Young and a now healthy quarterback in Dave Krieg (60% completion rate/ 21TDs – 11 ints). They had to sit and watch a knock kneed New York Jet team become the first team in NFL history to make the playoffs after losing their last five games. This is a cautionary tale as to why you have to win every game. During their 4 game losing streak they lost to those Jets 38-7. Cautionary?? This easily could have been your Super Bowl XXI champion. They finished 8th in offense and their defense was 8th in points allowed. They were jelling as the playoffs neared and in 1986 they played the league’s toughest schedule. They faced 3 of the 4 teams that made the conference title games that year. In that regular season loss to the Jets, they may have left their ring on the table.